ResMed Mirage Quattro is one of the most famous CPAP full face masks on the market, due to its innovative design which features an advanced seal for better comfort. But is this mask so good as ResMed says? ResMed Quattro is a full face CPAP mask that was built to provide a superior comfort and seal to satisfy the most demanding CPAP users. it has Mirage dual-wall cushion with spring air technology which accommodates movement during sleep, even if the jaw drops. you can easily adjust over 20 levels of forehead support for a personalized comfort and fit with the MicroFit dial system. your bed partner will be satisfied with the noise reduction feature due to the improvement of the vent design. there are all types of sizes, ranging from XS to S, M, and L size. it has a set-and-forget headgear clips and slots which means that you can precisely adjust the mask and then it will stay perfect on your face every time you take off the mask and put it back on. Resmed Mirage Quattro has also a moving cushion membrane at nasal bridge which should accommodate all the different types of nasal structures and it should also prevent the leaks into the eyes. the ResMed Mirage Quattro mask pack includes a travel bag, a car guide and a quick-fitting guide. 24 position adjustments on the forehead. The support is narrow, which is better for side sleepers because it would be less likely to be pushed out of the seal when laying against the pillow. the Quattro full face mask is 50% quieter than other ResMed masks. A quieter mask means you not only sleep better, but the machine is able to better respond to your apnea episodes. exhaust ports are completely redesigned. The tiny exhaust hole grid allows them to diffuse the exhaust so it doesn't blow so hard on a partner. The new exhaust grid seems to also retain more carbon dioxide than other masks, which is a good thing if you have central sleep apnea episodes. Although Mirage Quattro full face mask from ResMed is famous for the sealing features and comfort, the mask is not perfect for everybody. For example, some people complain about air leaks that are blowing into their left or right eye during therapy. This is not a good thing, because it can lead to corneal abrasion requiring a corneal transplant surgery. The air leaking problem usually appear if the sleep apnea patient is relatively new with CPAP masks and the ResMed Mirage Quattro full face mask is it's primary experience. Another method is to try sealing the areas that leak in your ResMed Quattro with a silicone putty, named Soft Moldable Silicone Putty Earplugs, which is used by many CPAP mask users to seal their leaking areas. Just form then into a thin rope and place along sides of the mask. The advantage is that it forms a good seal and is easily removed. It's important to understand that if you have air leaks to avoid tightening the straps, because this is not the best solution to prevent the air leaks and it also can cause you a lot of pain, especially at the chin connection between the lower jaw and the upper, near the air, and at the upper part of your nose. Apply what the upper video is teaching. Have you recently replaced your CPAP mask? In general, the mask need to be replaced about every three or four months. Loosen all the straps, wash your face and the cushion to make sure nothing is oily. Then put the CPAP mask on and tighten just enough to keep it from falling off your face while adjusting. At this point, the mask will leak. But you will continue with the next step, hooking up your machine, and when the air from your CPAP machine is coming in, gently tighten the lower straps only the bare amount necessary to stop it from leaking around the bottom. Then, on another phase on the air is coming in, do the same with the top straps and then the forehead dial. The purpose of these maneuvers is to have it as loose as possible so that the cushion is fully inflated. Why? Because the ResMed Mirage Quattro mask has a dual seal that has to be fairly loose in order to seal properly. It should inflate like a balloon. Tightening the ResMed Quattro mask often makes it leak more. Another tip is to try pulling the mask gently away from your face while the CPAP machine is on, and then reseating it on your face during the time when the air is coming in. The goal is to make sure the cushions are inflated and not creased anywhere. if you still having leaks after the above tips, try putting a thin layer of Soft Moldable Silicone Putty Earplugs on the edge of the cushion to help it seal to your face. Some patients with sleep apnea have no problems with Mirage Quattro at first, but after they wash the mask, the eye leaks may appear. Probably they didn't put the pieces together properly after cleaning. The solution is to take the mask apart and make sure that you put it back together correctly. Maybe something is crooked and is allowing leaks. If you still have problems with your mask, like leaks, burning, itching or dryness, I recommend RemZzzs CPAP Mask Liners For ResMed and Respironics Full Face masks. RemZzzs is an accessory to your mask, made from a special blend of naturally absorbent fibers that are designed to help absorb facial oil and moisture. never really getting a good nights rest, or eventually just throwing your mask on the floor! 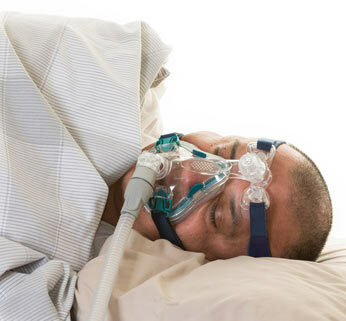 As you may know, CPAP therapy hasn't always been therapeutic for some people. Fortunately, that was before RemZzzs. You can think of it like this: RemZzzs will help you and your mask become friends. This is possible because the patent pending design acts as a barrier between the skin of your face and the silicone of your mask's cushion, virtually eliminating many of the most common problems associated with wearing a ResMed Mirage Quattro CPAP mask. Click here to buy ResMed Mirage Quattro.